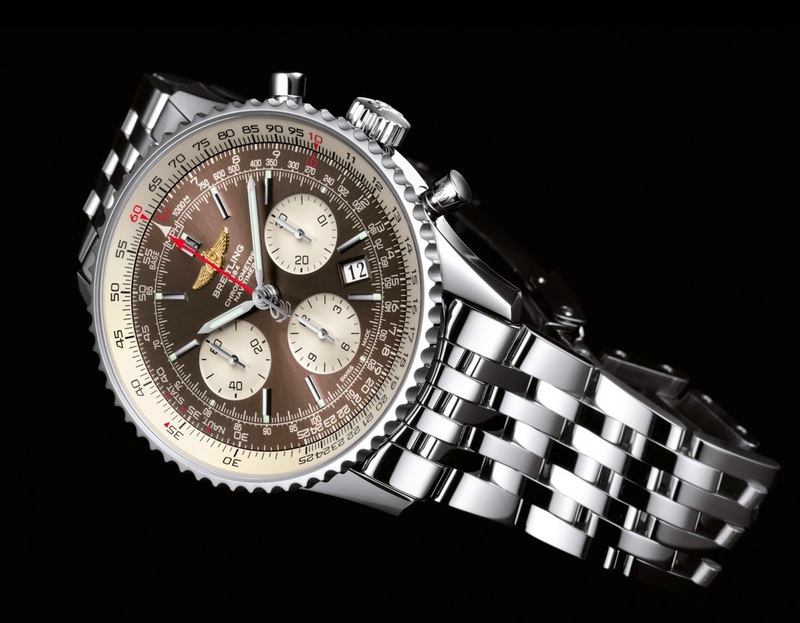 Created in 1952, the Navitimer is Breitling's most successful watch, in some way the symbol of the Grenchen-based watchmaker. One of most popular chronograph watch among aviation enthusiasts, the Navitimer is now available in a special 1000-piece limited edition series characterised by the bronze-coloured dial, the Navitimer 01 Panamerican. Each piece is individually numbered on the case band. 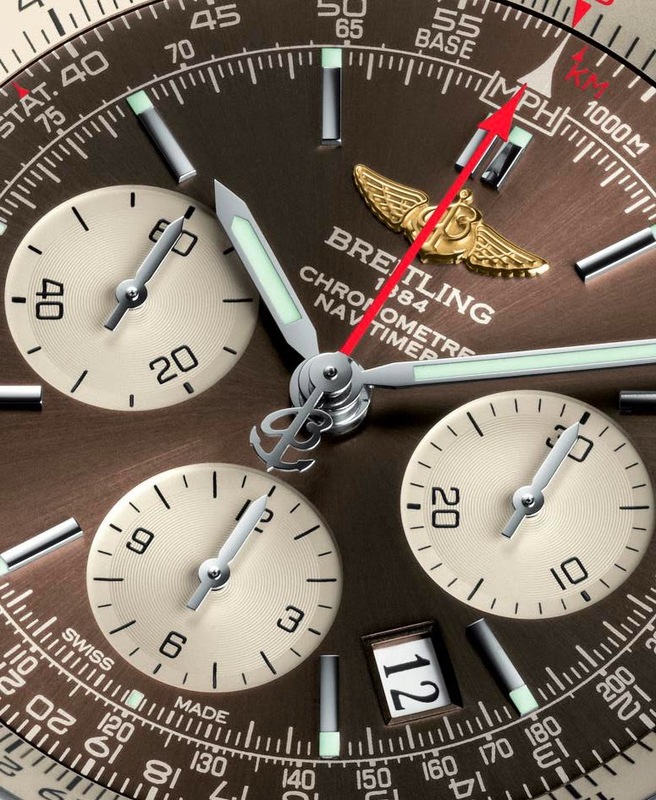 The new bronze colour, adding a touch of exclusivity, well integrates with the three hollowed counters, the red seconds hand, and the circular slide rule designed to perform all calculations involved in airborne navigation. Easy and accurate handling of the slide rule is ensured by the bidirectional ratcheted rotating bezel. The Manufacture Breitling Calibre 01, a high-performance automatic movement entirely developed and produced within the Breitling Chronométrie workshops and chronometer-certified by the COSC (Swiss Official Chronometer Testing Institute), is visible through the transparent caseback. It beats at 28,800 vibrations per hours and offers a power reserve of 70 hours. The 43 mm steel case of the Breitling Navitimer 01 Panamerican (ref. 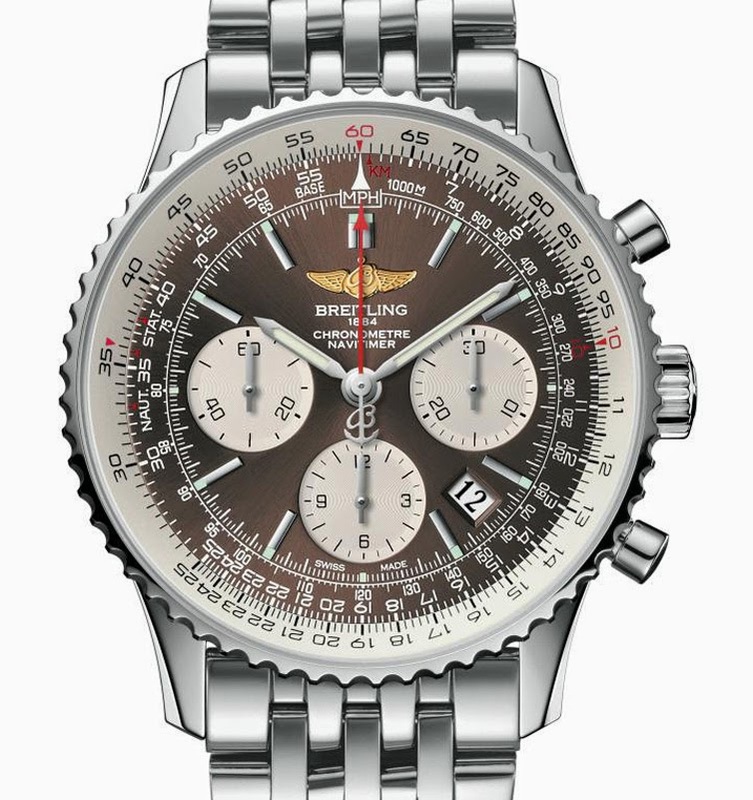 AB0121C4/Q605/447A) is completed by the Navitimer typical bracelet in steel. Retail price is US$ 8,105. 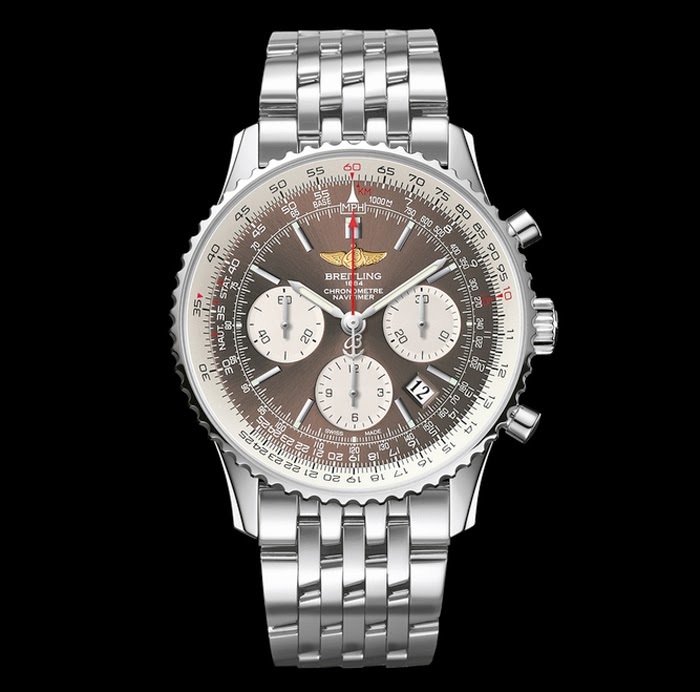 Created in 1952, the Navitimer is Breitling's most successful watch, in some way the symbol of the Grenchen-based watchmaker. One of most popular watch among aviation enthusiasts, the Navitimer is now available in a special 1000-piece limited edition series characterised by the bronze-coloured dial, the Navitimer 01 Panamerican (ref. AB0121C4/Q605/447A).